The main things here are silence and the sea. Both abundant. Slept until dawn. Walked around a little, taking in the soft blue morning light. Silence, except for the occasional car. Not a single leafblower. Last night I went out for a sky check. Moon and stars and wispy high clouds. Lit a fire in the wood stove in my cabin. It was all set up, with paper and kindling and logs. Just add match. These people know what's important; how to build a fire. A young woman brings the breakfast tray. I see Tabasco and immediately know everything will be OK. Eggs. Protein to boost the usual carbs. I'll be riding for hours on that. In these small places you worry a little about getting the day's essentials. Coffee, the right type of food, the right quantity of food, water... In Elk (pop. 208) they provide a good start. Now the only problem is tearing myself away. Next stop Gualala. Where I happen to know there is a pay phone at the store. That's the one thing lacking in Elk, along with cell reception. Danny must be getting worried, with no check-in last night. 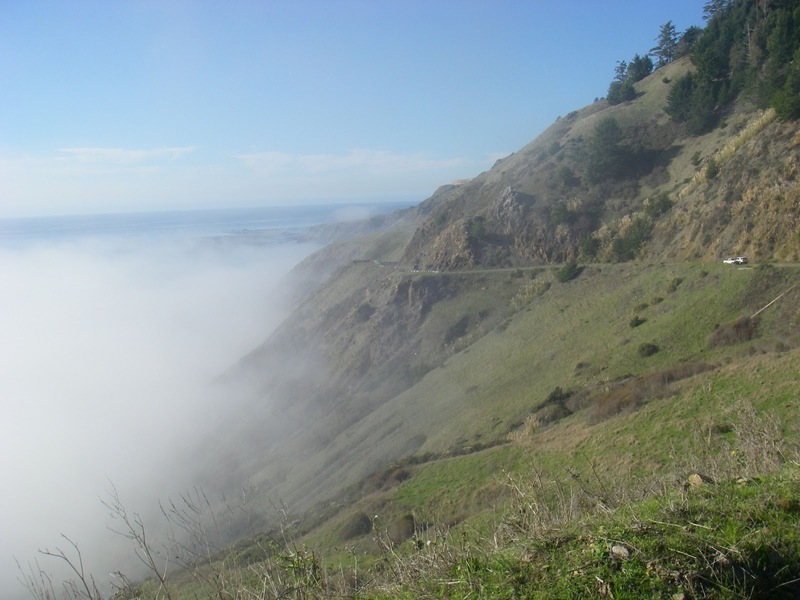 There is a lot of competition for the most beautiful stretch of Highway 1. This part is right up there as I recall, partly because it is so peaceful. The sky clear as a bell, it does not disappoint. In Manchester the huge rollers bring a wave of negativity. This is the easy direction, too. My first ride here was south to north. These came early in the morning on the Winter Solstice, socked in with fog, the road wet. They make me curse. Legs starting to wear down. A little too fast devil-may-care traffic between Point Arena and Gualala. Locals must work in the wealthy retiree and tourist towns, live out here. At Surf Market in Gualala a second breakfast is necessary. Greek yogurt, a huge apple fritter, and coffee. I phone a friend, Bill, who might want to join me riding tomorrow. It's noon already, raising concerns about making it to Bodega Bay. Or frankly anywhere with affordable lodging. I forget to call Danny. Stewart's Point is only 10 miles down the road. My quad muscles are glad we aren't riding the Terrible Two today (though the weather is ideal). 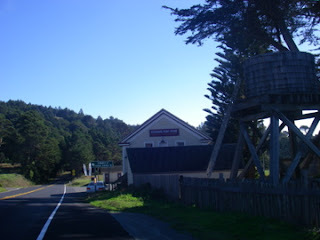 That gratitude lasts for the next 15 miles, to Fort Ross, where the TT turns inland back toward Santa Rosa. For the first time I notice the fort is actually on the ocean side of the road, out on a point. It's hidden behind cypress trees. Since Manchester, for the first time I've also noticed many old cemeteries, facing the ocean. Some markers look like they might be mid-1800's. When the twisty narrow roads leading into the hills brought timber to the sawmills. Now those same roads bring tourists to wineries. It would be great to explore some of those rugged byways on a bike, like Philo-Boonville Road and Mountain View Road. On a fast, goal-oriented tour, it's just not in the cards. I'm starting to wonder whether this pace makes sense. Spending every daylight hour on the bike, moving forward. With no office or cubicle to hurry back to. Making mental notes to come back and explore. 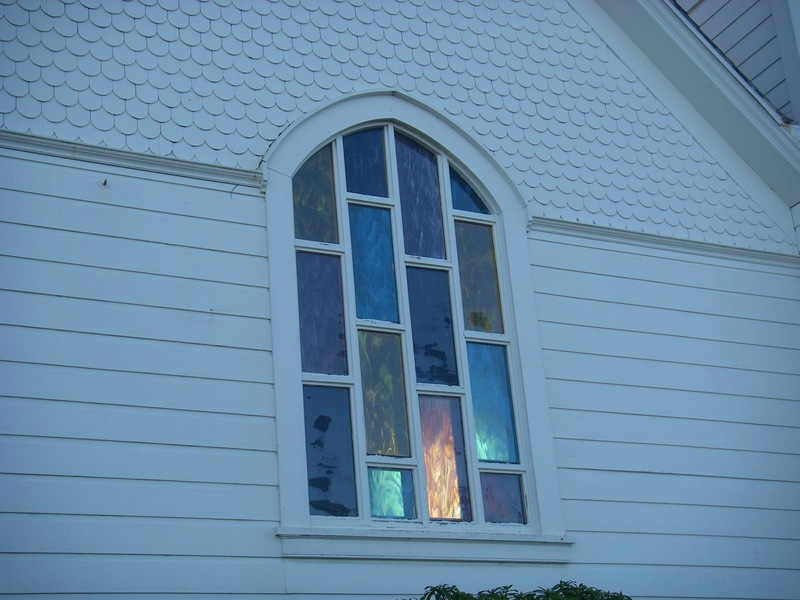 To get to Bodega Bay, first cross the Russian River. To reach the mouth of the Russian River, first get to the town of Jenner. To get to Jenner, climb the Jenner Slide. It's a big project, one I've been thinking about all day. It's worthy of those last few knobs of apple fritter in my back pocket. Mmmm. Sugary! Jenner slide, looking backward (north). As the road tilts upward, a woman at a pullout turns to face me, smiling and clapping as I roll by. It should not matter, her gesture. I'm not climbing the hill for applause. It lifts my spirits anyway, with all the road hazards and drivers to watch out for. Someone is prejudiced in my favor, a solo cycle tourist with saddlebags and lights. The slide goes on and on but it's easier than feared. Near the top a huge drift of fog is visible over ocean and land to the south. 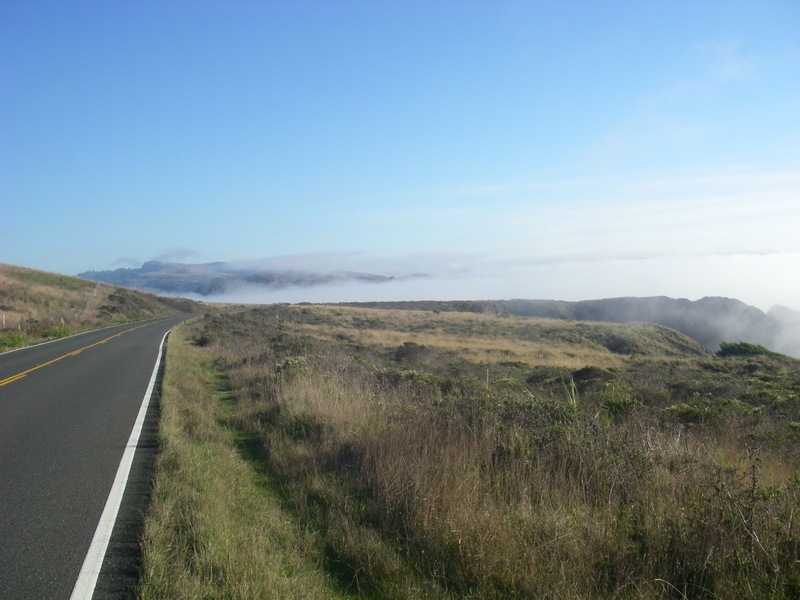 We are above it, but down we go, across the river and over gently rolling terrain to Bodega Bay. Here the coast is truly socked in with fog. My toes are numb. Jenner slide, looking south toward Point Reyes. While munching turkey and provolone on wheat, it's time to think about wrapping things up today. Not going to make it to Olema, or even Point Reyes Station. The 17 miles I did not ride to Point Arena yesterday made that so. But where to land tonight? My sense of distances between towns is sketchy. I'm torn between riding heroically into the night, lights blazing, and avoiding unnecessary discomfort. 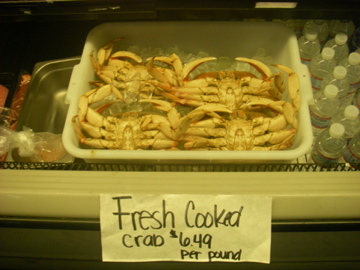 Mental and physical fatigue are setting in and I just don't feel like pushing to Point Reyes Station tonight. Being a more name-brand place the rooms are more expensive, too. After all this isn't a brevet...right? Wednesday there's a storm coming in, according to Danny. So that leaves tomorrow. Tomorrow brings more options, like the ferry from Sausalito or train from San Francisco. Today I'm just going to ride until the computer gets close to 100 miles. That might be Tomales, I doubt further than that. It's tough to give up on Point Reyes Station. But at least I'm in Marin County. 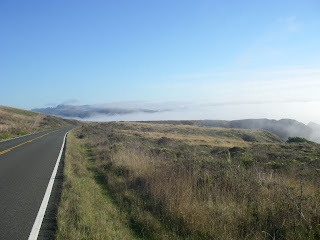 Riding the big hills north of Tomales in thick fog, light fading and rear blinker on, it becomes clear. Stop now, at mile 98. This tiny town, right here. It's just about the mileage. 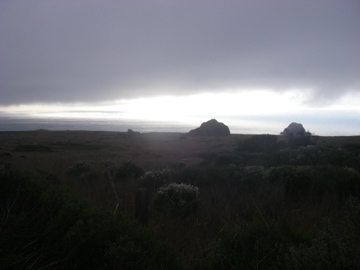 If it needs to mean something more, think about reaching the point where San Andreas Fault three miles to the west is pulling Point Reyes out to sea. Put your foot down at the Continental Inn, the one and only place to stay. With Pacific Northwest's Best Places and Adventure Cycling stickers on the front door. For a reasonable sum, Penny hands over the key to a stylish, palatial room with king bed. No cell reception or pay phone but satellite TV, check. I know what you mean about coffee and rides. I did a ride down Haleakala at sunrise, and the only thing open was a Shell station. With gas station coffee. And non-dairy creamer packets. It was sub-optimal. ALDOUS HUXLEY WROTE THE SCREENPLAY?! Damn. I may have to see that now. Funny how those nice, even numbers are so appealing. I know that you were riding to a purpose, but I get what you're saying about your heroic/sensible dilemma.